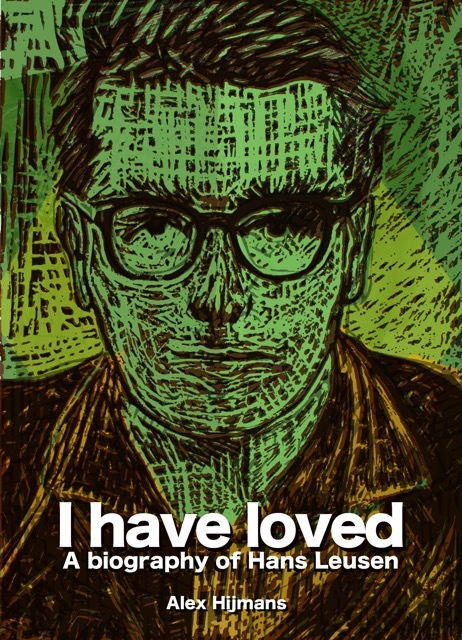 I have loved – a biography of Hans Leusen tells the story of Hans Leusen (1937), a Dutch adventurer-turned-diplomat who has been living in Brazil since the early Sixties. The book, which was commissioned by Leusen himself, might be of interest to expats of any nationality living in Brazil. I have loved – a biography of Hans Leusen is available from The American Book Center. Those were the first words Hans Leusen ever spoke to me. Between us, a cloud of cigar smoke hung over an antique hardwood table; sharp morning light fell in through an open balcony door that offered a generous glimpse of the shimmering waters of All Saints’ Bay. I’d come to what was then the Dutch consulate in Salvador, located on the first floor of a colonial building in the city’s historic centre, to introduce myself. It seemed the right thing to do: I’d recently based myself in Salvador as a correspondent for a Dutch newspaper, and Hans Leusen was the Dutch honorary consul there. A silence fell after those ominous words. After all, they came from the mouth of a countryman of mine who’d spent most of his life in Brazil and who’d lived through a dictatorship, several failed currencies and many political crises there. When that initial silence lifted, we spoke for an hour or so. At the end of our conversation, Hans invited me to join him on a trip to a reforestation project he’d recently set up in Salvador’s hinterland, the Recôncavo. It was during a second trip to that same reforestation project, several years later, that Hans – quite unexpectedly – asked me whether I’d be interested in writing his biography. I said I’d think about it. I knew Hans had a story to tell, but I had to get my head around the idea of writing a biography on commission – paid for and published by the man the book was to be about. So, in fact, did Hans. I’ve lost count of the number of times he’s asked me, during the three years we worked on this biography together, whether I thought publishing a book about one’s own life was a pretentious thing to do. More than once I told him that of course, it was. But then I’d remind him of the fact that if in 17th Century Amsterdam Captain Frans Banning Cocq and seventeen members of his civic guard hadn’t commissioned Rembrandt to paint their group portrait, we wouldn’t have the Night Watch today. Far be it from me to compare myself to Rembrandt van Rijn. My Night Watch analogy merely serves to illustrate the fact that, throughout history, men and women of means have always sought out artists to portray them – and artists have needed men and women of means to make ends meet. Ethical questions dealt with, we set to work. Meeting Hans on a bi-weekly basis, I recorded many hours worth of interviews, in which we went through his life chronologically. Subsequently, I sifted this material and shaped it into scenes and chapters. I made a point of doing this in the colonial splendour of Hans’ headquarters in Salvador’s historic centre. For over a year, I spent every Monday and Friday morning scribbling away in the building’s vast front room; whenever I needed to clarify a point or detail, all I had to do was stick my head into Hans’ personal office – a luxury not many biographers have. Writing the book there, in Hans’ natural habitat, gave me the added bonus of being able to observe him closely in all manner of circumstances and of witnessing, step by step, the winding down of his professional career. Mostly, biographies get written about artists, politicians, historical figures. Though there was a time, in the Nineteen Eighties, when Hans was something of a celebrity in Salvador, frankly I think it’s unlikely that – unless he’d commissioned a biography himself – he’d ever have become the subject of one. And that would have been a shame, because Hans’ story is as captivating as it is unique: it’s an immigrant’s rags-to-riches tale set against the backdrop of a Third World country turning itself into a world power. Though Hans has – in his own eyes and in those of most Brazilians – always remained a Dutchman, he has lived in Brazil for longer than more than eighty per cent of the country’s current population. It’s exactly this that makes Hans’ story so worthwhile for me, a Dutch Brazil correspondent. More than once, when talking to friends about writing this book, I’ve likened my work with Hans to having access to an external memory card with half a century’s worth of life in Brazil stored on it. What makes the stories on this imaginary flash drive even more valuable to me is that they were lived by someone whose background is not unlike my own, and that they were told so vividly that, more often than not, I felt I was there.